This season, coats are huge! I mean this literally and in a trend way, just as well with the cold weather. If you are only investing in one winter piece this season (as if!) make sure it’s an oversized coat. The designers have really taken on this trend in full force this winter, making outerwear look quite boyish in masculine grey tones with the likes of Alexander Wang, Chloe and Stella McCartney who is known for this look. Michael Kors used a brighter colour palette but coats are still BIG and in masculine looking silhouettes. If you are more of a girly girl then you will love this trend of pastel coloured coats almost in dolly mixture shades. Even better, keep your coat oversized but in a candy colour making you look right on cue for London Fashion Week. Think baby blue like Gucci, buttercup yellow like Victoria Beckham and definitely think blush pink a la Jonathan Saunders and Mulberry. 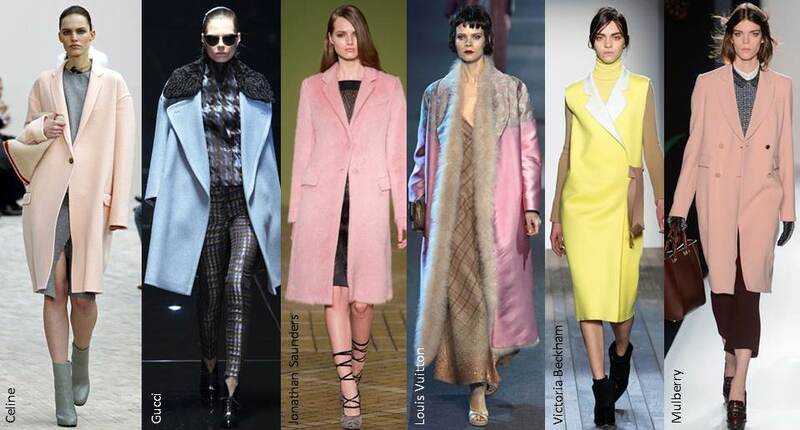 Wearing a candy coloured coat doesn’t mean you will look like a great big marshmallow, if you are going for oversized keep it slightly tailored like Mulberry or colour blocking works wonders as seen at Gucci and Victoria Beckham. When temperatures are as low as minus there is nothing better than wrapping up in fur, this season fur comes in all types of measures. Patchwork, shaggy like Giorgio Armani, in vibrant colours like Anna Sui, oversized like Saint Laurent or as trimmings like Tom Ford. 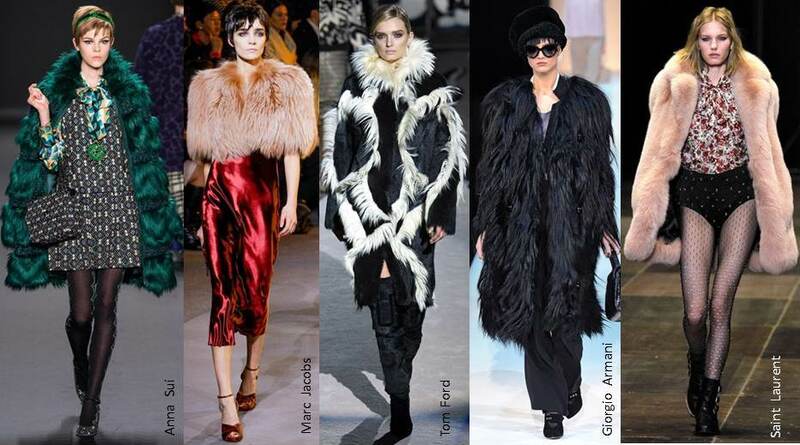 Fur is a huge trend this season and don’t be afraid to be bold with fur accessories as seen at Fendi, Roberto Cavalli and Versace. We saw this trend emerging at the Met Ball as this was the set theme and many stars embraced the trend. The punk trend may not seem like everyone’s cup of tea but it doesn’t have to be all vinyl and spikes like Versace, delicate chain detailing and a hint of tartan with a couple of studded accessories means you can take this trend and make it your own. 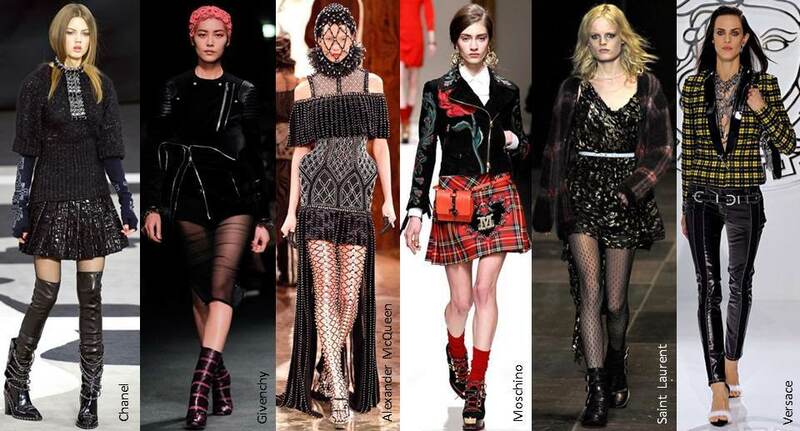 Looking at the runways, it seems the designers all have their own take on the punk trend. Versace has gone full on with vinyl trousers, brightly coloured tartan and a lot of chain detailing. Saint Laurent has kept it minimal with fishnet tights and a delicate tartan knit thrown over a floral dress. I love how Chanel have used chain detailing on over the knee boots and accessories rather than going full on punk. This trend a great to bring in metallic make-up and berry stained lips. Last season it was all about masucline tailoring with a feminine twist, this season it’s more about taking masculine tailoring fabrics and draping them to look very feminine indeed. Think herringbone, pinstripe and tweed draped with silk and even styled with feathers or worn as maxi skirts like Billy Reid. As we all know Stella McCartney loves using masculine fabrics and styling in her collections, but it looks so good and feminine cool. This season there has been a huge focus on the feminine silhouette with nipped waists and skirtsuits giving a certain 1940s and 1950s glamour. Marc Jacobs hinted at this with fur stoles and certain styling for his Louis Vuitton collection. Which trends have you been embracing this season? 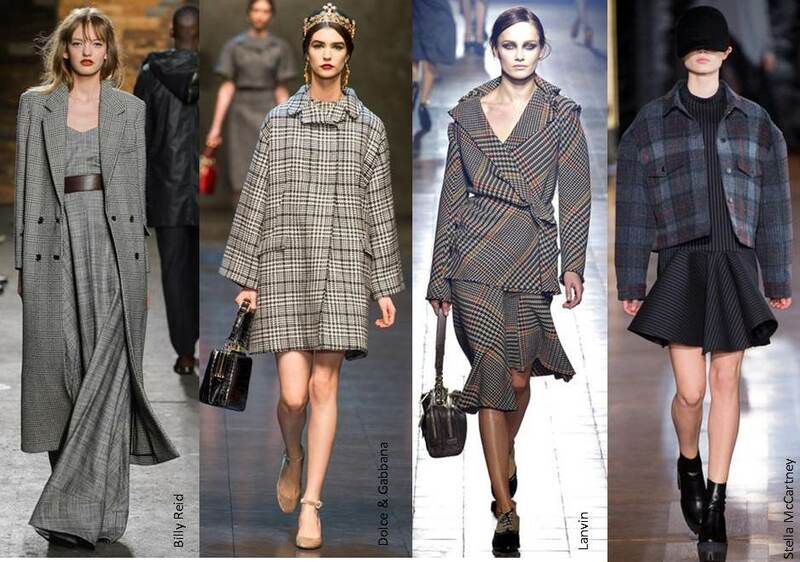 Are you the ladylike cinematic silhouette or do you like the hint of the boyfriend coat and fabrics?